In the market for some new climbing shoes? Or just keen to check out the latest tech? 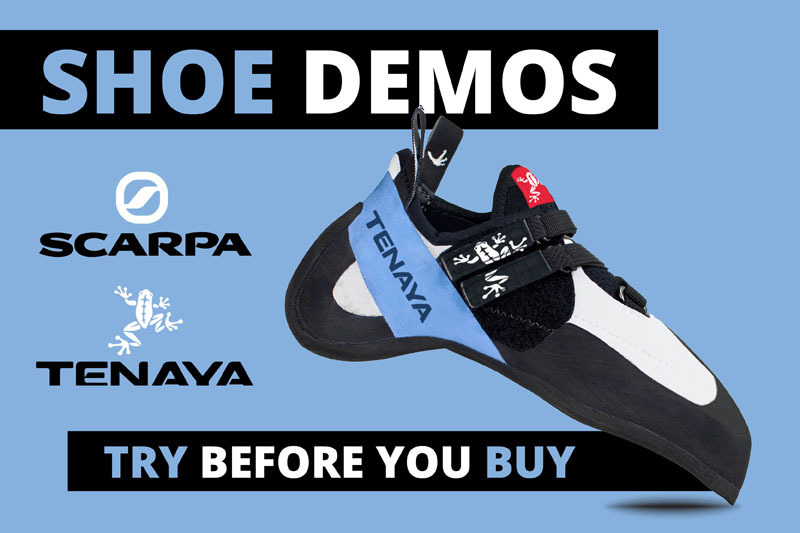 In addition to our DEMO EVENINGS for La Sportiva, Evolv and Boreal, we’ve now also teamed up with Tenaya and Scarpa!